Supervised by Allison Daley. Color scheme for Ventral side by John Sibbick. 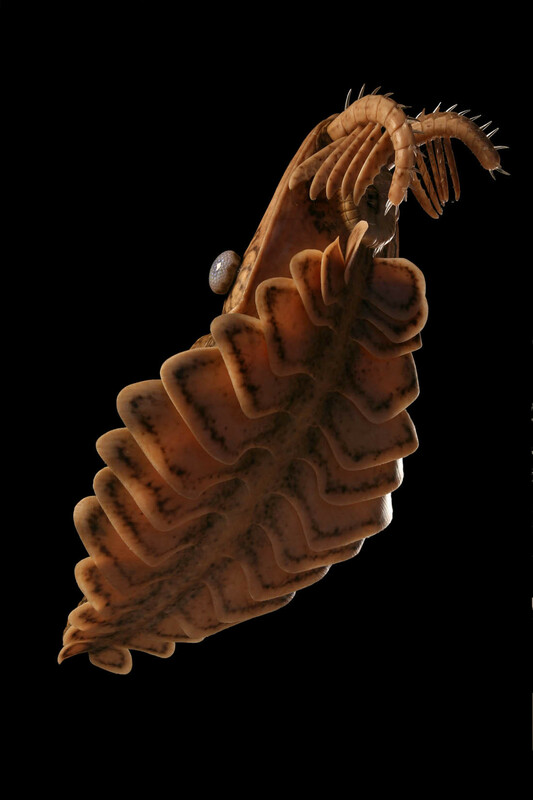 Laggania is a genus of anomalocarids that lived in the Cambrian period. Its two mouth appendages had long bristle-like spines, it had no fan tail, and its short stalked eyes were behind its mouth appendages. 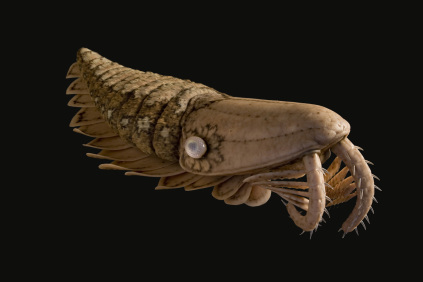 Paleontologists have determined that these attributes disqualify Laggana from apex predator status (as opposed to Anomalocaris), to the extent that it used its appendages to filter water and sediment on the seafloor to find food. 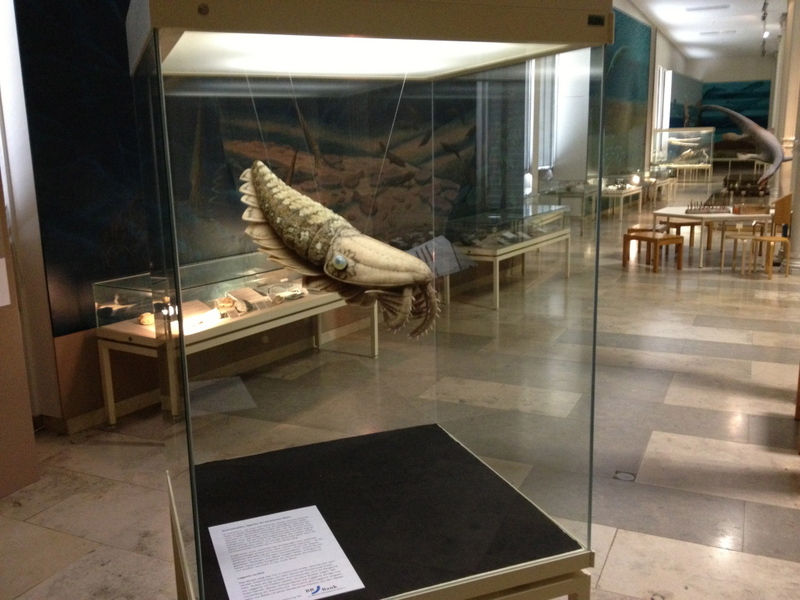 It was also mich smaller than anomalocaris, reaching a totalt length of about 50 cm. The history of Laggania consist of initially isolated body parts that only later discovered to belong to one type of animal. This was due in part due to their makeup of a mixture of mineralized and unmineralized body parts; the mouth and feeding appendage were considerably harder and more easily fossilized than the delicate body.